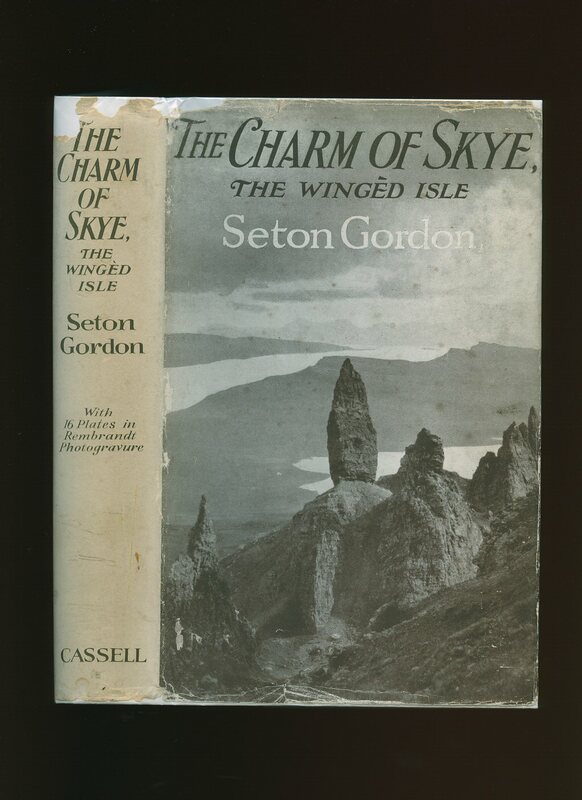 Published by John Grant Booksellers Ltd., Edinburgh 1946 revised edition. 1946. Hard back blue cloth covers and page tops, navy and gilt titles. 8vo, xii, 198, 2 [pp]. Maps to end papers, fore and lower edges untrimmed. 24 photographic illustrations by Douglas Guthrie and Archibald E. Robertson. Spine slightly faded 7/10, no dust wrapper. Member of the P.B.F.A. 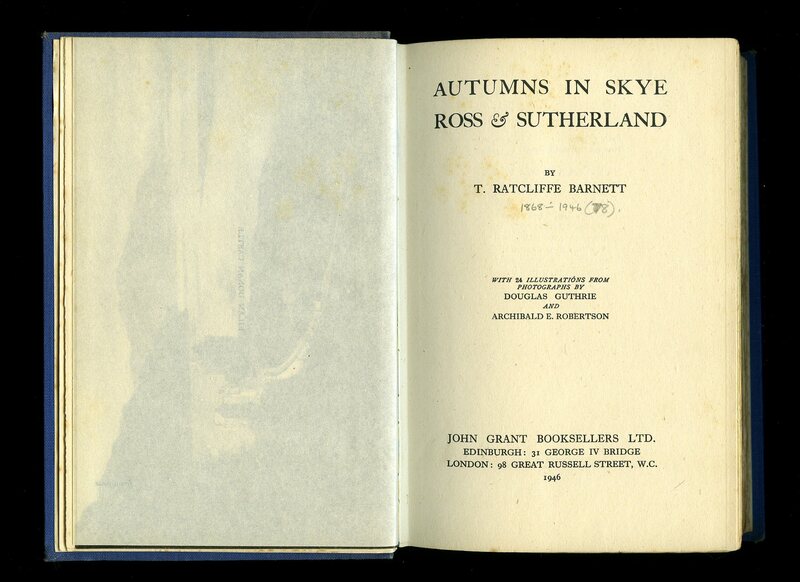 Published by Cassell & Company, Ltd., 37-38 St. Andrew's Hill, London Second Edition 1931 [First Edition 1929]. 1931. Hard back binding in publisher's original navy cloth covers, gilt lettering to the spine, blind tooling to the upper panel. 8vo 9'' x 6'' xii, 242 [pp]. Map, 16 photographic illustrations by the author, charming monochrome illustrations throughout. Name and 1933 date in ink to the front end paper, light foxing to the end papers. Very Good condition book in scarce near Very Good condition dust wrapper with 10 mm chip to the spine tip, small nicks to the edges, light foxing to the paper, spine not faded, not price clipped 7s 6d. Dust wrapper supplied in archive acetate film protection, this is not adhered to the book or to the dust wrapper and can easily be removed should you so wish. Member of the P.B.F.A. 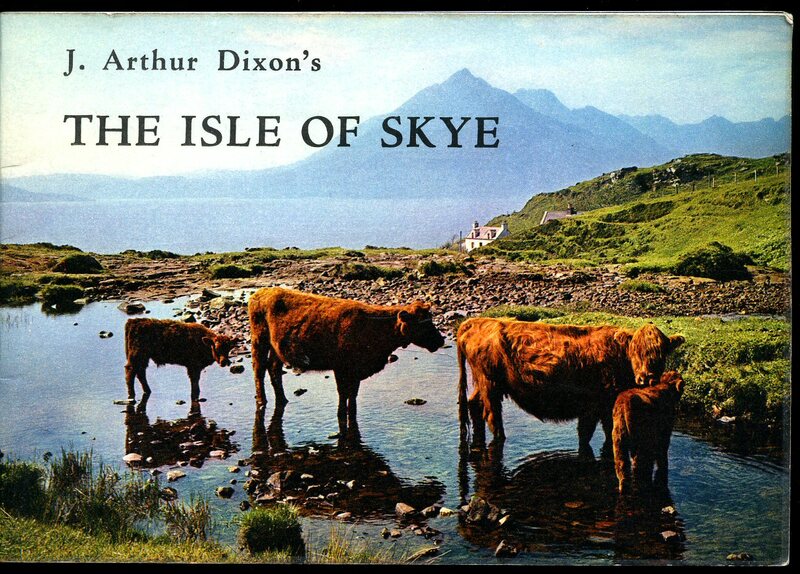 Published by J. Arthur Dixon Ltd., Inverness circa 1970. 1970. Publisher's original colour photographic card wrap covers. Landscape 6'' x 8¼''. 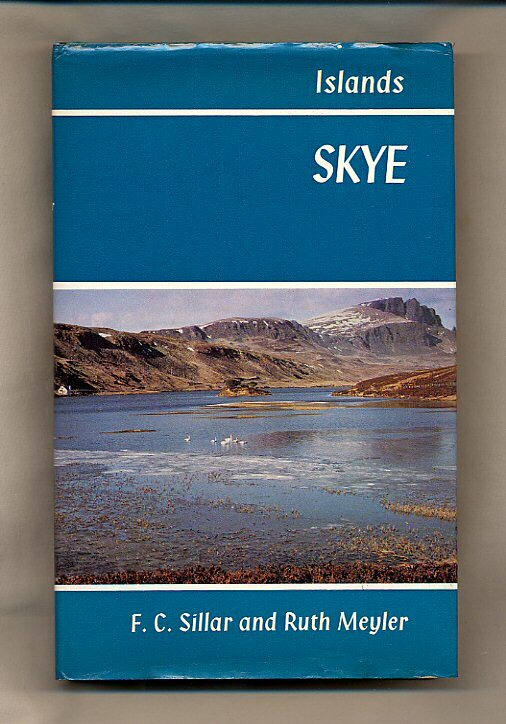 Contains printed pages of text with 15 full-page colour photographs throughout, map to the rear. In very near Fine condition, no dust wrapper as published. Member of the P.B.F.A. Published by David & Charles (Holdings) Ltd., South Devon House, Newton Abbot, Devon 1973. Devon 1973.